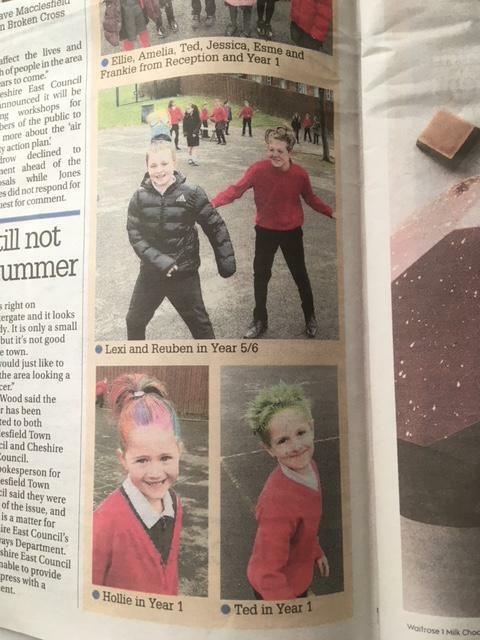 Our fabulous school has made headlines again with their 'fun'd raising antics in aid of Sport Relief 2018. 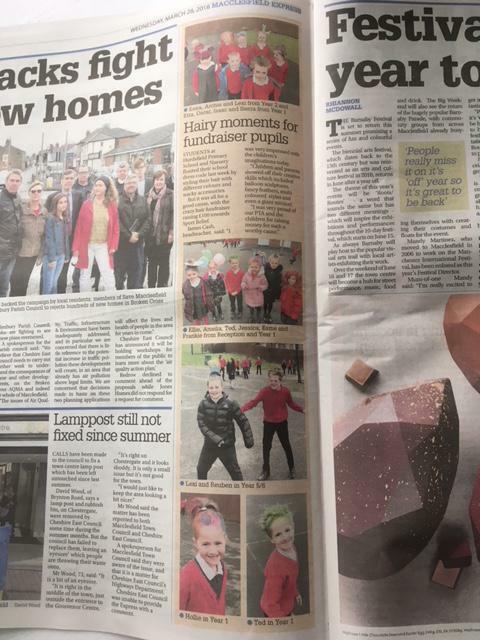 Hurdsfield Primary School was in the Macclesfield Express again this week following our fundraising efforts for Sport Relief 2018. 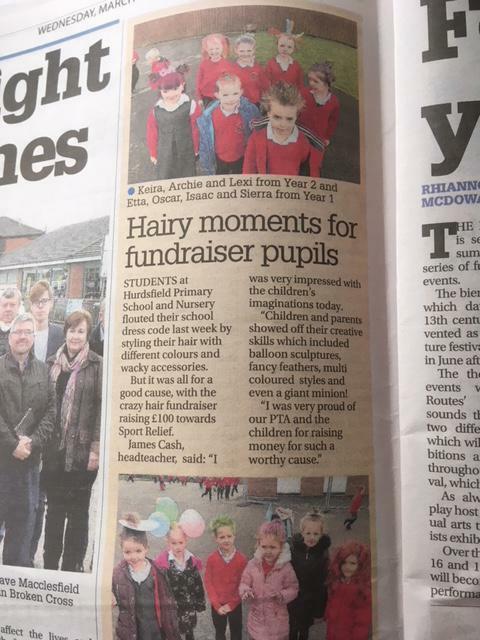 We had fun, enjoyed a morning of sport and had 'mad hair' in order to raise money for this superb charity. Yet again our school has shown its generosity in the support of causes across the UK and the world. As Headteacher - I couldn't be prouder.